After 21 weeks of 24-hour nausea and pregnancy anemia, I now have what my mother calls the summer croup. 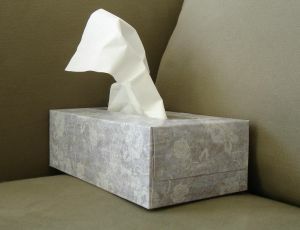 Everyone in my house has a runny nose and a cough. It feels like one thing after another. My limited innate reserves of stoicism are depleted and my inner-whiner is growing louder and louder. I am thinking I will just go to bed and wake up in three months and have the baby. We have a friend coming from England to stay with us the first week of August and how will I have the house clean and ready if I keep getting hit with health issues? So goes my negative thinking which I know is probably overblown but it dogs me nevertheless. While waiting for a burst of healthy energy to return my way I did have a singular bit of good luck. The thrift stores near me often have great sewing/craft items but rarely do they have decent sewing machines come in. Usually a basic Singer is donated which Iwon’t even look at since I can crash a Singer in eight hours! I know a lot of folks love their Singers, but this brand and I have poor karma together. A few days ago I went into my local Goodwill for whatever – I forget my initial reason. But aligned on the back electronics wall were about five used sewing machines! Two of them old style mechanicals. I plugged in both of the older machines. One did not feed. Rejected that one right away. 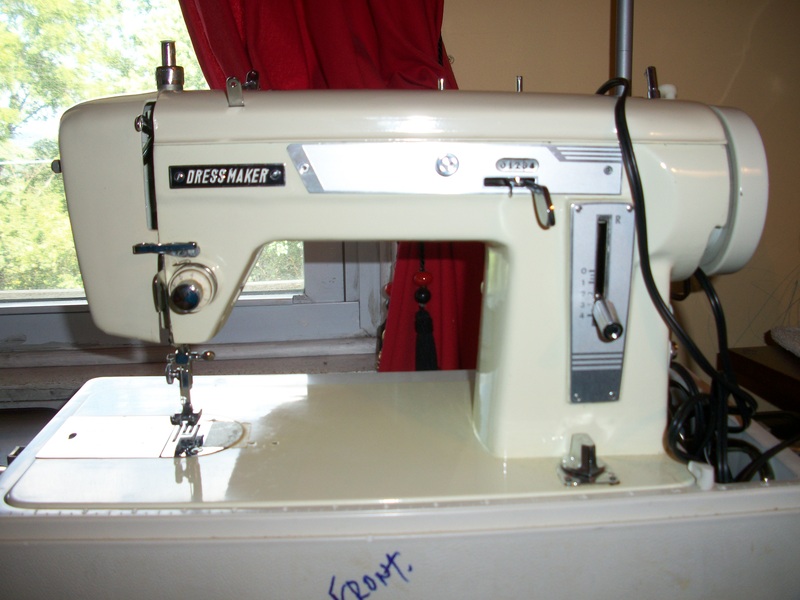 I had much better luck with the other machine, a Dressmaker Model 123. 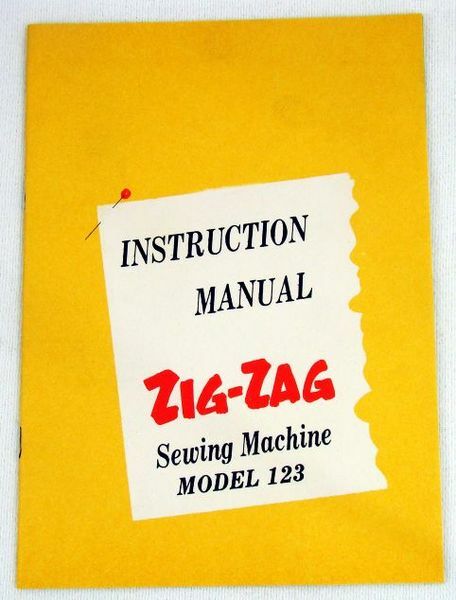 It fed appropriately, the stitch length and tensions worked, came with all of its parts including the instruction manual, and the best thing, even on this old machine, the feed dogs can be lowered to allow for free-motion quilting and embroidery. This is my latest sewing purchase, a mechanical sewing machine, Dressmaker 123, bought at Goodwill for $20.00. I wondered about that price being so low but after trying out the other machines on offer I think the price reflects the machines age more than anything. It worked better than some of the more expensive newer used models. That sold it for me. I have been looking for a machine to quilt on because I am beginning to think that the repetitive fast quilting stitch is wearing down my garment sewing machines earlier than need be. The machine weighs a ton which told me it was all metal parts. 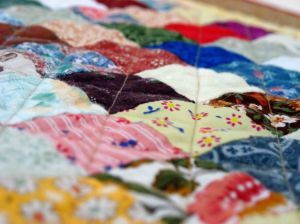 Therefore I could oil it and keep it babied through the quilting process, unlike some of the more contemporary models which don’t allow for oiling. Additionally, I believe the metal parts will hold up better to the punishment that all of those quilt layers and stitches give to a machine. It weighed so much that I used a cart to get it into the car, and then made my husband tote it into the house. Appliances just don’t come this solid anymore. And it has one speed – my favorite speed – bat out of hell! This thing takes your fabric and runs with it! Terrific for free-motion quilting as I like to get the quilting part done as quickly as I can. Though I am not familiar with the maker it gives every indication of being a good solid mechanical sewing machine. At the store it just felt “right”. Searches on ebay have turned up what appear to be newer models from the 70’s which have dials. This machine has a strange way of locking in tension and stitch variety with a lever which seems to be an older method to me . I was small in the seventies and machines had dials, and then they started having buttons for the computer, but I can’t remember levers. That is why I think it might come from the sixties. It doesn’t look like any of the models I find online and there is little info about the brand or model itself which I think also confirms my theory of this being a pre-1970’s machine. Does anyone know about this model? I would love to know more about it. I wish I knew more about older machines. I love they way they look! I’ll be watching this post to see what your readers can tell you. Don’t know about the machine, but love the bat-out-of-hell description! Have fun, it looks like this is an awesome, awesome find for you! Hello there! I just bought this exact machine and unfortunately it did not come with an instruction manual. Did you happen to find any online info about this machine? I have recently been given a dressmaker sewing machine that I cannot find info about anywhere. Mine does have dials and is extremely heavy, but I am grateful to have it. I would love to see what diagram is in your manual. Hope all is well! would like to get a manual. I posted a copy of my manual. You are welcome to download, or if you want an original sometime they can be found on ebay. I fortunately found a Dressmaker 123 on Craiglist for free sitting on curbside, not working very well. Brought it home gave it a good oiling and TLC and off it went, zoom, zoom, zoom. It does sew very fast, a lot faster than most I encounter. It is a pretty basic straight, zig zag machine. I got everything working very nicely, all the levers worked. A very decent machine.